Right, now no one can hear our conversation. Put on your invisibility cloak and come with me! I have something very important and secret to tell all you harry potter fans (or long-suffering loved ones of aforementioned fans). 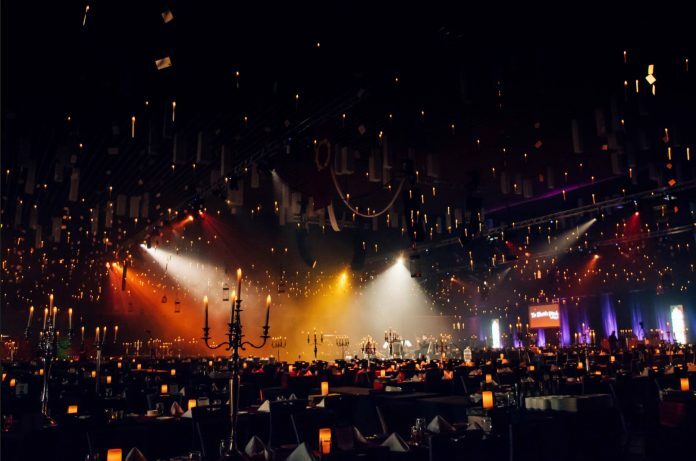 There is a Harry Potter-Inspired banquet coming to Birmingham! The brunch is an immersive dining experience where you will eat wizarding food in a great hall lit with floating candles while learning magic lessons and being entertained by all manner of wizardly things. The Wizard’s Brunch is a travelling event, previously appearing in Australia and America. Previous events have had fire eaters and aerialists performing while you eat, and live owls and snakes with experienced handlers that you can interact with. There have also been lessons in how to cast your spells properly, and a potions tasting experience. The brunch is coming by Birmingham on a world-wide tour, and is selling out quickly. The event in Liverpool sold 2,000 tickets in 48 hours so demand is high! Birmingham’s event will have around the same number of tickets so if this sounds like your kind of thing you’d better shake a leg! The brunch is in a secret location that will be revealed nearer the time, but will be in a beautiful venue in Birmingham City Centre. The brunch is fun for the whole family with children under 16 to be accompanied by an adult and 16-18 year olds required to have permission from a parent or guardian to attend alone. There is no dress code, but many attendees dress up, in fact Aaron Charles, the UK event organiser for Viral Ventures, says, ‘Everyone dresses up, well 99 per cent do!’. This is a great opportunity to dust off that old Halloween costume and your most raggedy tie! Or perhaps you have a pristine Hermione costume, lovingly looked after, that now can be worn more than just on Book Day? The brunch is three hours long and includes a three course meal as well as entertainment throughout. The event also offers vegetarian options for those wizards and witches that are concerned with the Care of Magical Creatures. The tickets are likely to be around £45-50 per head. The organiser’s site says they aim for wheelchair access in all their venues, but do contact them to confirm as they change venues for every event. The event will be on 21st September 2019 and would be a lovely way to soften the blow of a return to school! *A spell that causes a buzzing noise to keep others from hearing a private conversation. By ticking the above box you agree to Birmingham Updates sharing your information with the event organisers so they can contact you with further information.